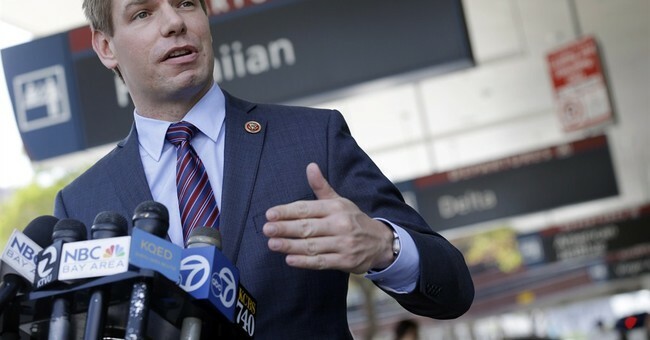 California Democrat Congressman Eric Swalwell is calling for government confiscation of all semi-automatic rifles. In other words, every rifle in America. Further, he's warning citizens of nuclear annihilation should people refuse to comply. When he was confronted, Swalwell tried to backtrack with some context and further explanation. He then pulled the victim card. "Gun buyback" is a nice term for confiscation, which Swalwell acknowledged. "Assault rifle" is a politically loaded, misleading term used by the left to demonize semi-automatic rifles. And yes, confiscating millions of privately owned firearms is indeed tyrannical. Reminding Americans who plan on standing up for their Second Amendment rights that the government has nukes as a means to deal with "the problem" is also...tyrannical.